AFRICAN UNION (COUNCIL ON FOREIGN RELATIONS) -- Rex Tillerson will make his first trip to Africa as Secretary of State between March 6 and March 13. He will visit five of Africa’s fifty-four countries—Chad, Djibouti, Ethiopia, Kenya, and Nigeria. The trip hardly appears to be a “reset” by the Trump administration in its approach to Africa. The State Department spokesperson, Heather Nauert, when announcing the trip, said that its purpose was “to further our partnerships with the governments and people of Africa.” She also said that the Secretary would be discussing how the United States “can work with our partners to counter terrorism, advance peace and security, promote good governance, and spur mutually beneficial trade and investment.” This rhetoric implies little change in the U.S. agenda in Africa since the end of the cold war and may reflect apparent White House disengagement and disinterest in the world’s second largest continent. The selection of countries the secretary will visit indicates a strong emphasis on security issues. Djibouti is the site of the only U.S. base in Africa. Nigeria and Chad are deeply involved in the struggle against the Islamist, anti-western Boko Haram, which involves limited U.S. military training and equipment sales. Ethiopia, Kenya, and Djibouti are also involved in the struggle against al-Shabaab, the terrorist organization centered in Somalia, where the U.S. military also has assumed a limited support role. The secretary’s trip is unlikely to advance the United States relationship with sub-Saharan Africa in any meaningful way. The focus is on security, not economic development, trade and investment, democracy, human rights, and the rule of law. Further, the Trump administration has yet to articulate a distinctive policy toward Africa. U.S. engagement, limited though it is, appears to be more military than diplomatic, reflecting the Trump administrations security preoccupations. 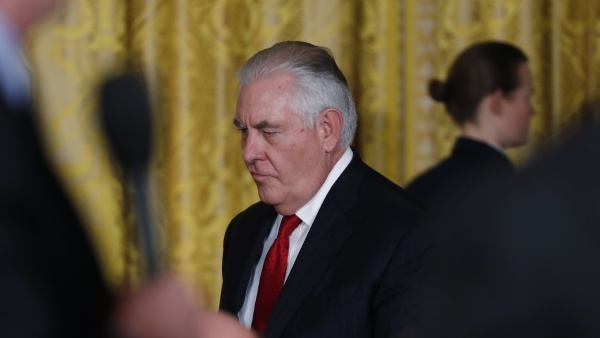 There is still no assistant secretary of state for Africa, no U.S. ambassador to South Africa, and numerous other Africa-related positions remain unfilled. Certain authoritarian African leaders, like Rwanda’s Paul Kagame and Uganda’s Yoweri Museveni, have made positive statements about President Trump. Democratic leaders on the other hand, notably Nigeria’s Muhammadu Buhari and South Africa’s Cyril Ramaphosa, were deeply critical of the president’s public denigration of Africa and Haiti. With the U.S. recessional from Africa, save for security issues, African states are turning to other partners, notably China, France, and the EU. In a thoughtful article, John Stremlau, an American visiting professor at Johannesburg’s prestigious University of the Witswatersrand, suggests that, for the time being, growing the United States relationship with sub-Saharan Africa may rest more with the legislative branch than with the executive branch and the secretary of state. He points out that since the 1990s Congress has consistently supported closer economic and political partnerships with Africa, reflecting the big American business, philanthropy, and civil society constituency for Africa.